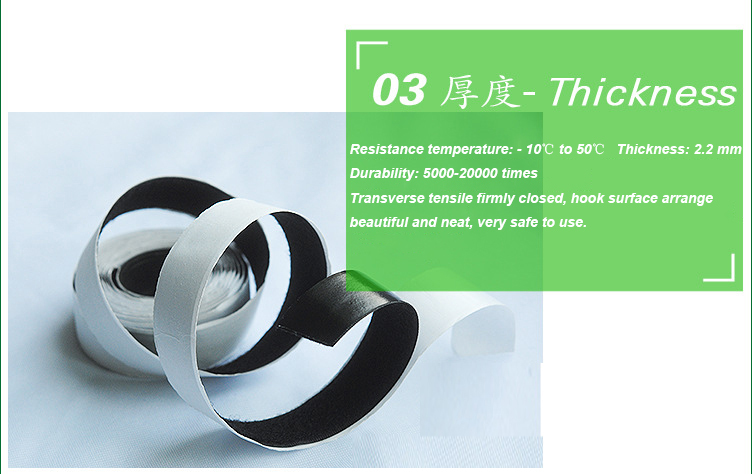 Glue:normal temperature glue( hot melt adhesive), special viscose,cold-resistant glue, high temperature resistant adhesive, etc, provided by the glue is environmental protection glue. 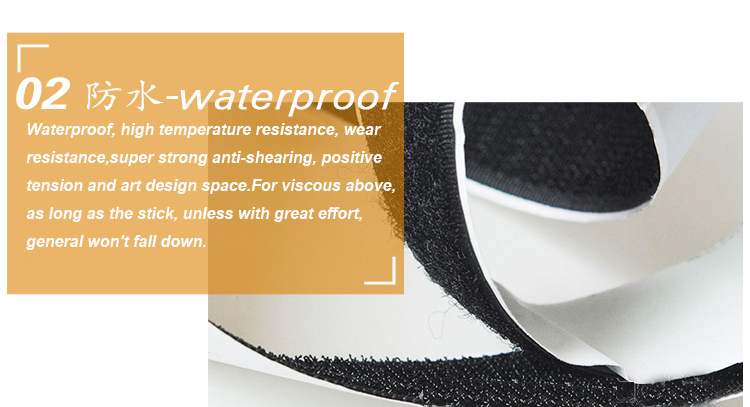 Uses: the products are widely used in clothing shoes and hats, gloves, bags, sofa, seat cushion, aviation supplies, plastic poncho, curtains, toys, sleeping bags, sports equipment, audio equipment, medical equipment, electronic wire, chargers, display products, etc.Applies to household to design the lossless installation, that is using this thing, for the surface of an object in your original, completely is nondestructive, when you no longer need to, you can use the simple way to get rid of, leave no residual stains, also won't damage the appearance of your objects. 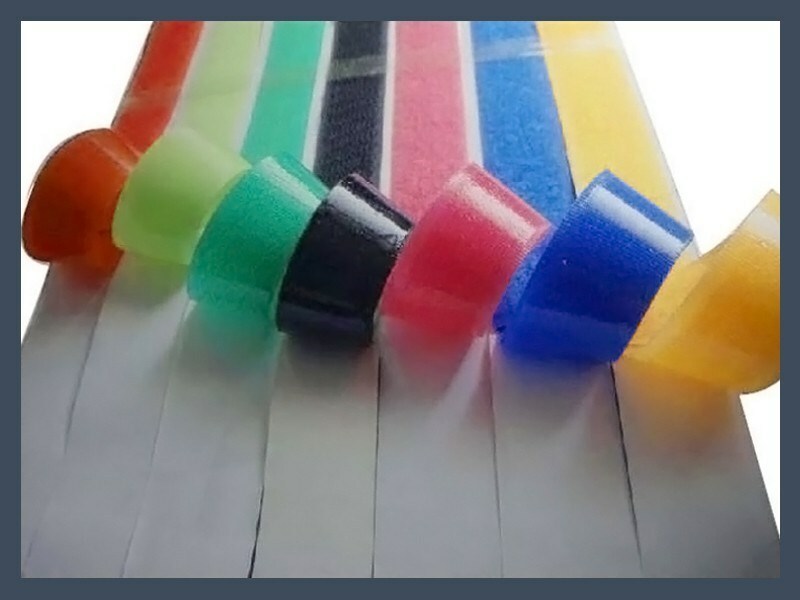 Features: Heat resistant, cold resistant and durable back glue hook and loop is in a traditional Velcro (one side is hook, other side is loop, adhesive action) to process a layer of self-adhesive water on the back, can be attached to the plastic surface at will, surface of metal, wood, electronic products and other product surfaces, the cementation nature is extremely strong, soft skin does not hurt the hand, back glue hook and loop can be processed into any specified shapes, fasteners with back glue can be use in - 10 ℃ to 50 ℃ temperature range. 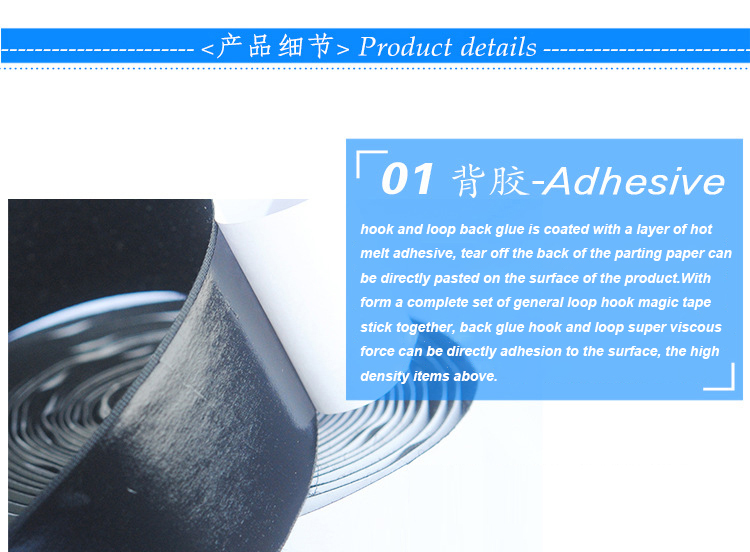 Use this product, can paste many times, so it brings convenient, as long as the use of the back glue hook and loop, paste can be easy to transport, and in use rise very convenient also, something you can't hold in your hand, can rely on this product to paste.